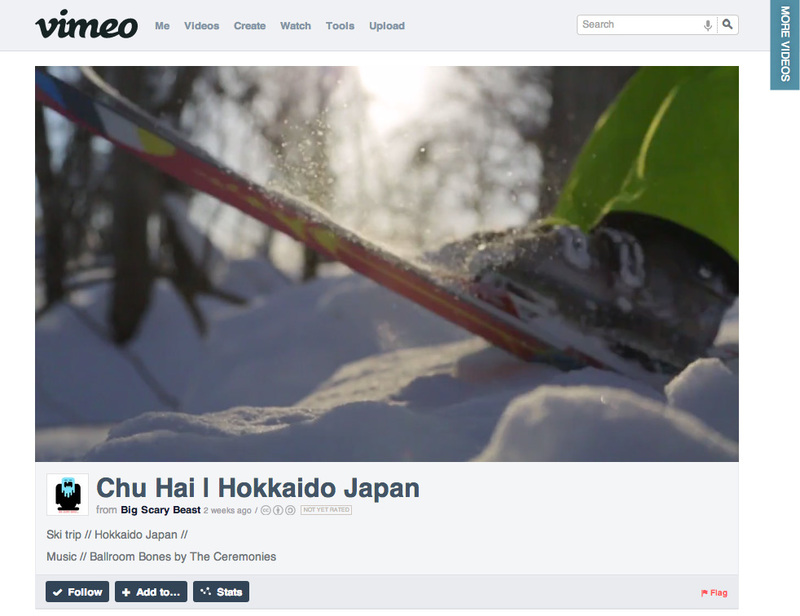 Last month we received an email from Big Scary Beast who shared their recent movie with us shot in Niseko. This movie brilliantly encapsulates and magic, excitement and pure joy of a ski trip to Niseko and Hokkaido. We loved the great Go Pro shots using all sorts of angles mixed in with standard video and fast edits blended seamlessly with the soundtrack. Thanks for sharing Alex – your video has rocketed into our top 5 selection of Niseko videos. The team at Big Scary Beast have all sorts of compelling content so check out their site when you have time.